This roleplay is going to be moderately hosted. You can choose a character from any time line, genre, from the new world itself, or even from another roleplay. Powers are limited. They all must mesh together. (i.e. you cant have lightning powers if you’re a mind reader.) I am going to be very strict on where players are, do not get separated from each other, and with what your characters do and do not know. (You cant know about a fight in a bar if your down the street talking to someone in the market.) I will be sending private messages about what your characters see or know. You can also post in the sign up/OOC thread with questions for me regarding your characters. If I feel you are not taking this seriously then I will ask you to leave the thread. Posts must be 4 sentences or more. The roleplay begins with each player being drawn into another world through a mirror. How it happens will be Pmed to you. Your characters will find themselves in a new world. Odd and new creatures inhabit the land, as well as humans. All are from various timelines. Your characters will learn that they were trapped within a wizards looking glass. Within are 4 other powerful beings who had a looking glass as well. As your characters entered the world, their only means of escape was destroyed. Now, they must find the pieces of the looking glass if they have any hopes of returning to their world and defeating the man who trapped them. Please forgive me if I do not respond right away. I do have a life outside of KMC. you shall never know silence from me woman! 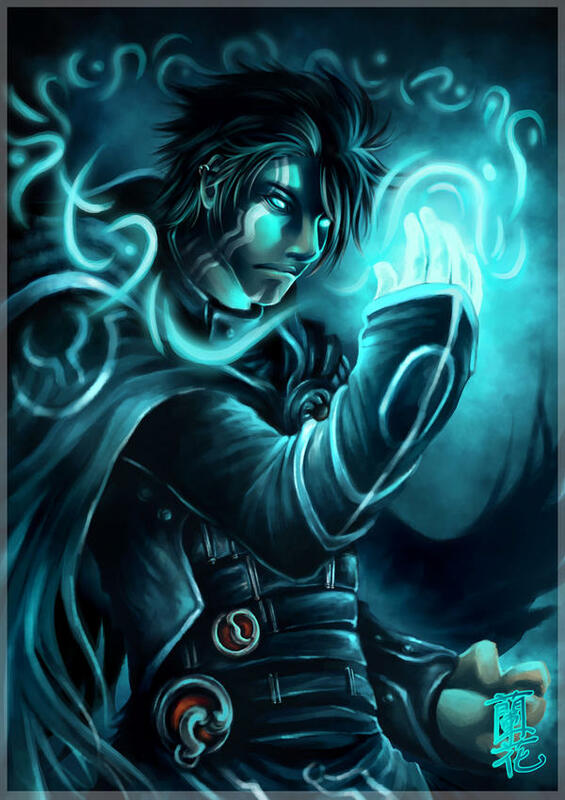 Abilities: "slight of hand" he's a magician and an illusionist, only everything he does is real. this leaves a wide range of adaptable uses like unlocking doors, objects can appear from his sleeves and similar concealed places (almost anything as long as it fits the opening), when he conceals something he can have it disappear (and reappear) this can include himself or somebody under a cloth or in a small closed space. he's not yet discovered exactly what the nature of his power is, though he assumes he is simply magic. Not feeling very creative today so I'll just use an old character. bio: Benjii, now only a vampire, was once a hybrid. He shared his body with a whole different being. When he would become angry, hungry, or just lost control of his hold, a different being known as Infernus would take over his body, killing all that breathed. Because of Infernus, Benjii's homeland, Midian, was destroyed and everyone in it killed. For Years Benjii was dubbed "the Great Midian Killer" and would drink and kill, kill and drink, sometimes letting Infernus come out because he couldn't bare the guilt he felt. But a couple of years ago things changed for him. He stopped drinking and was reunited with his long lost love. But he still struggled to control Infernus and his urges to kill Until he lost that control, letting Infernus take over with no sign of Benjii ever coming back. Infernus now in control, he brought on what seemed to be the apocalypse but that and he were stopped by a brave vampiress, the same one who seperated Benjii and Infernus. Now Benjii lives with his wife and their daughter, always smiling and laughing as he spends time with the two most important people in his life. abilities: he can take a lot of damage and can heal if he feeds. Not as quick as most vampires but matches their speed with strength. This has been downloaded 113 time(s). please follow the character sheet. Abilities: Ahri's blue flames she creates and control not only burn her enemies but cast illusions tricking them to see things that are not really there. She can run as fast as any other fox and is as agile as well. Bio:Unlike other foxes that roamed the woods of southern Ionia, Ahri had always felt a strange connection to the magical world around her; a connection that was somehow incomplete. Deep inside, she felt the skin she had been born into was an ill fit for her and dreamt of one day becoming human. Her goal seemed forever out of reach, until she happened upon the wake of a human battle. It was a grisly scene, the land obscured by the forms of wounded and dying soldiers. She felt drawn to one: a robed man encircled by a waning field of magic whose life was quickly slipping away. She approached him and something deep inside of her triggered, reaching out to the man in a way she couldn't understand. His life essence poured into her, carried on invisible strands of magic. The sensation was intoxicating and overwhelming. As her reverie faded, she was delighted to discover that she had changed. Her sleek white fur had receded and her body was long and lithe, the shape of the humans who lay scattered about her. Where they are from: New York in a parallel universe where baby's where experimented on. Abilities(be detailed): Due to the experimentation a instability in his DNA he is able to change his structure and molecules to take on the shape of other things, can be known as shape-shifting. He is able to shift into other animals at will but still finds it hard to change into other human's or creatures other then animals. Bio(the more detailed the better): At birth Gen was taken from his mother and was preformed on by the government to test a new thesis on. Gen was one of many yet these experiments where kept secret from even the parents. The object of the experiment was to make a super solider one with abilities that couldn't be surpassed. My of the experiments failed and the children where sent home but Gen and several others had where successes and where kept and trained. They where allowed to see their parents off and on but Gen never felt right about it. As time progressed years went by he was able to control his abilities but they had trouble with him and his inability to keep another person's human form. They where ready to scrape him but Gen broke free from their ranks and ran off but not before destroying their research so that they couldn't make any others like him. Gen then changed his way of thinking rather then using his powers to kill for the government he would use them to help the people who need help. That was the day he cast off his chains as a Dog of the military and became a warrior of justice righting wrongs and helping others. Both approved, but Regelion can you please watch your grammar and spelling? Abilities(be detailed): Synapse is a mentalist - a powerful mind mage. His abilities can be listed as follows. Dreamwalk - Synapse's mind can leave his body during sleep without any ill effects. In this state he is able to see and hear things from great distances, and even physically influence people and objects, with great effort. Illusions - Synapse can create illusions of such complexity, it's nearly impossible to distinguish them from reality. While Illusions are not physical, people that are affected by their 'touch' will believe that they are. Telepathy - Synapse can hear the minds of others without much difficultly. As long as there is eye contact he can exert his will over others, controlling their minds and bodies. One his mind has successfully taken over another, there is no more need for eye contact. He is able able to mesmerize and plant hypnotic suggestions within peoples minds. Bio(the more detailed the better): Synapse was born on dimension X, a place not too different from 20th century earth. Synapse was once called Jason Bell, a boy born with the unnatural talent of telepathy. Jason was able to use his powers at a very young age, much to the embarrassment of his family and neighbors. His father, a suspicious religious man, called on the local priest to perform an exorcism, in the hopes to drive the evil away. The exorcism backfired, however, and the priest, as well as the boy's mother, were reduced to drooling vegetables for the rest of their lives. The father, enraged by his wife's condition, tried to kill the child, but Jason was saved by a glowing blue light, which transported him to another place. Jason's rescuer was a frail old man, who, like Jason, was a mind mage. The old man took Jason in, and taught him all he knew of mind magic. As Jason grew older, he noticed, little by little, that his mentor was far older than he seemed - Well past 150 years of age, and only keeping himself alive only through sheer force of will. Little did Jason now, however, that the old man was only using the boy. When Jason reached the age of 18, the old man struck out in desperation, trying to destroy Jason's mind and claim the youthful body as his own. The two engaged in a mind dual, with Jason emerging as the victor. The old man finally at rest, Jason grieved, even though he knew the old man had just tried to kill him. Jason then deliberately fractured his own memory, leaving behind a twisted versions of events that he knew was not real, but was too cowardly to restore. He assumed the guise of 'Synapse', and from then on became a crime-fighting vigilante, eventually being recognised world-wide as a super hero. If this is too overpowered let me know. maybe tone down the illusion powers. im just afraid itll be too strong.